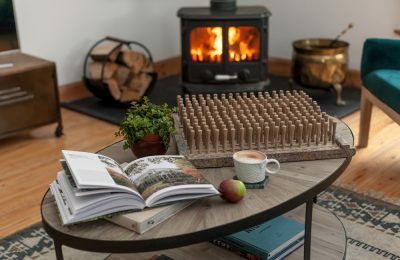 We are super excited to give a bit of an update on 2019/20 developments at Dod Mill, including our plans for glamping and retreats at our south of Scotland site. 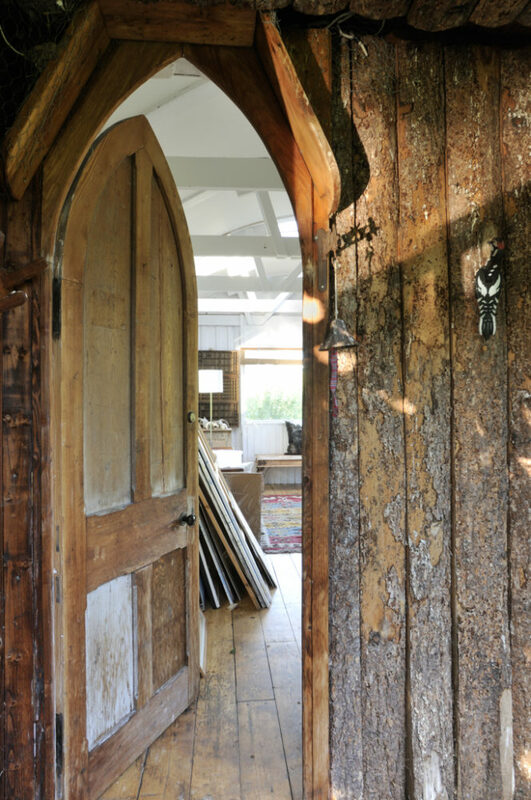 All of this is the result of many months of dreaming and scheming about what we should do with Dod Mill’s highly eclectic collection of industrial and artistic buildings. 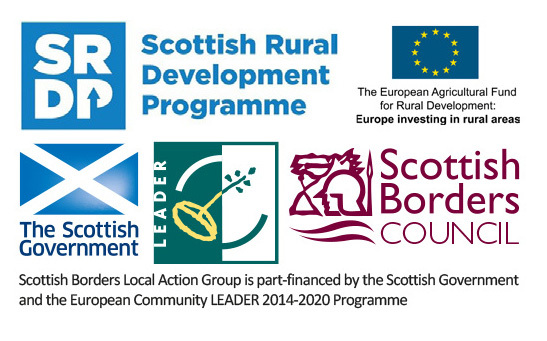 The breakthrough came in early 2019 when we secured LEADER funding, a rural development scheme administered here by Scottish Borders Council. 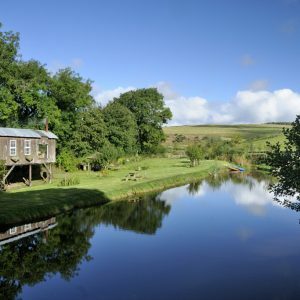 As of 2020, not only will guests be able to stay in Old Mill and (an extended) The Bothy, but also two one-of-a-kind glamping huts: the Stilt House and Fishing Hut. 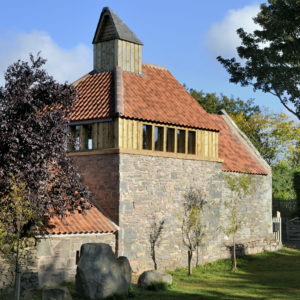 Guests will also be able to make use of a creative and communal space in our B-listed Kiln House. Read on to hear all about it! 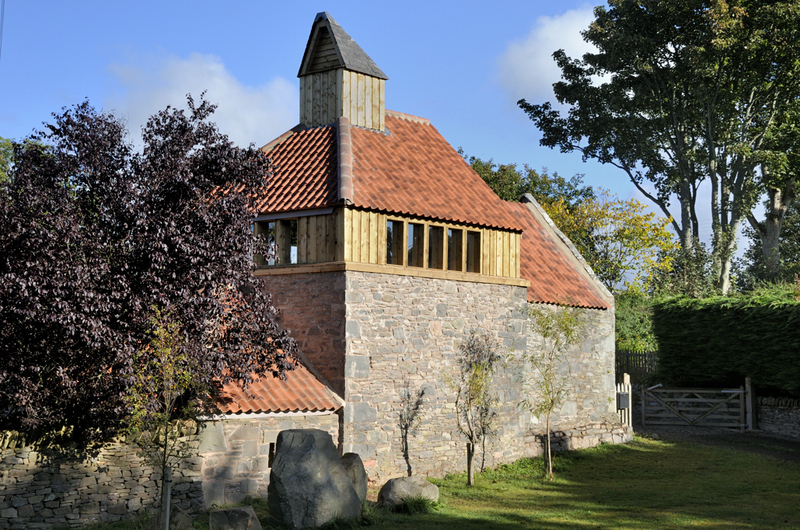 Dod Mill, for us, has always been about escaping the hustle and bustle of daily life. 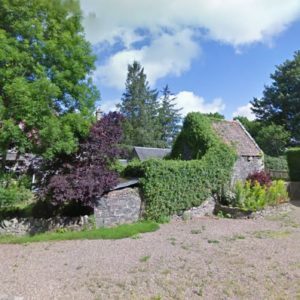 In 2018, we moved our young family up to Scotland from London, full of hope and expectation that Dod Mill would be the perfect place to grow up (the children) and grow wiser (us). We craved clean air, green space, simpler living, a connection to something other than our phones and laptops, and somewhere for our children to make their own adventures. From the moment we came across Dod Mill, we couldn’t stop thinking about it. This was the place we’d soon call home. That thinking didn’t stop when we arrived – it just kept growing. 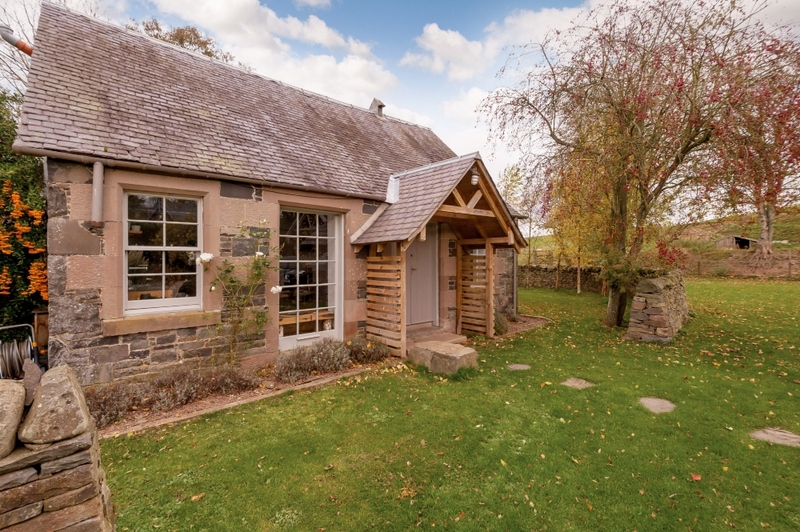 Dod Mill has an intriguing history, a rich landscape within its 5 acres and its also teeming with wildlife. 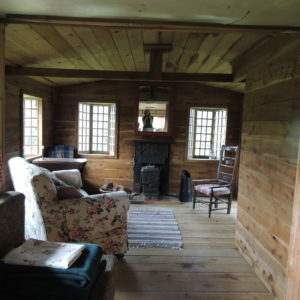 There are also several artists’ cabins, each with its own waterside setting and views. 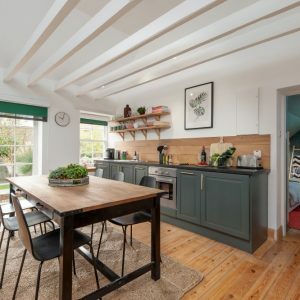 Rain or shine, we just love hanging out in these quirky little spaces. Each time we visited them in that first 12 months of living here, we thought a bit more about “what to do” with them. The chance of a “mini escape” from the hustle and bustle of daily life is something lots of people now want to do. Need to do, perhaps, from time to time. 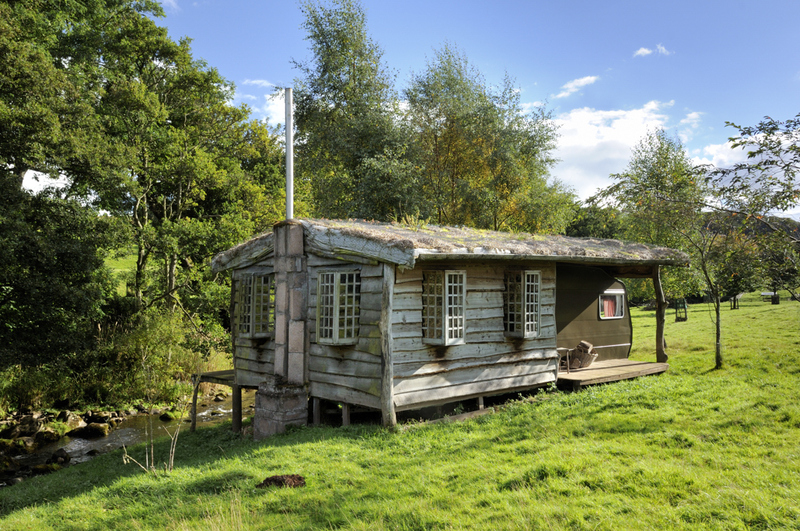 So, that’s exactly what we’ll be offering with two new and quirky glamping sites at Dod Mill. We’ll be providing lots of updates on our progress over the course of this year, but for now, we wanted to give you a summary of our “Phase 2” at Dod Mill. 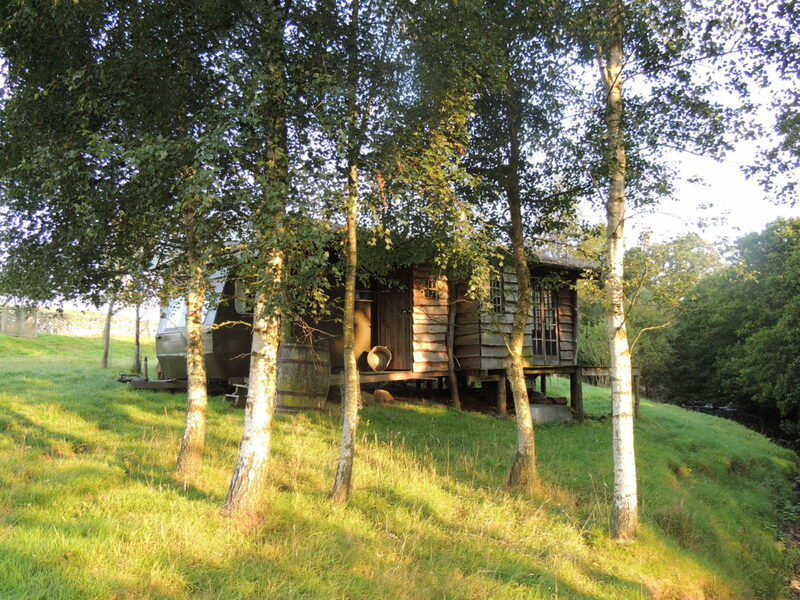 There are 4 main elements to Phase 2, involving the Kiln House, Stilt House, Fishing Hut and The Bothy. 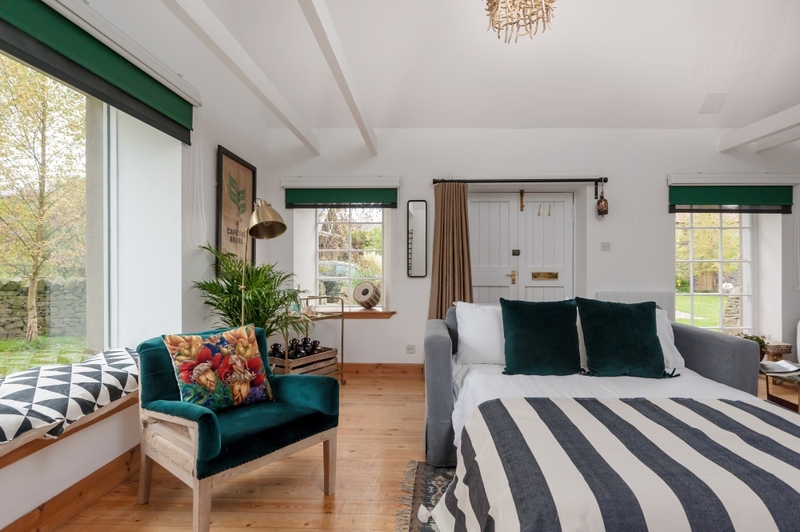 Throughout the whole project, we’ll be reclaiming and re-purposing these characterful buildings, and much like we did for Old Mill and The Bothy (Phase 1), we’ll be bringing a design-led approach to each of their interiors. We are excited to, once again, be working with our friends Xanthe Weir and Rachel Richmond at DecorAir / Hen & Crask. We’ve already started work on this bit of the project. 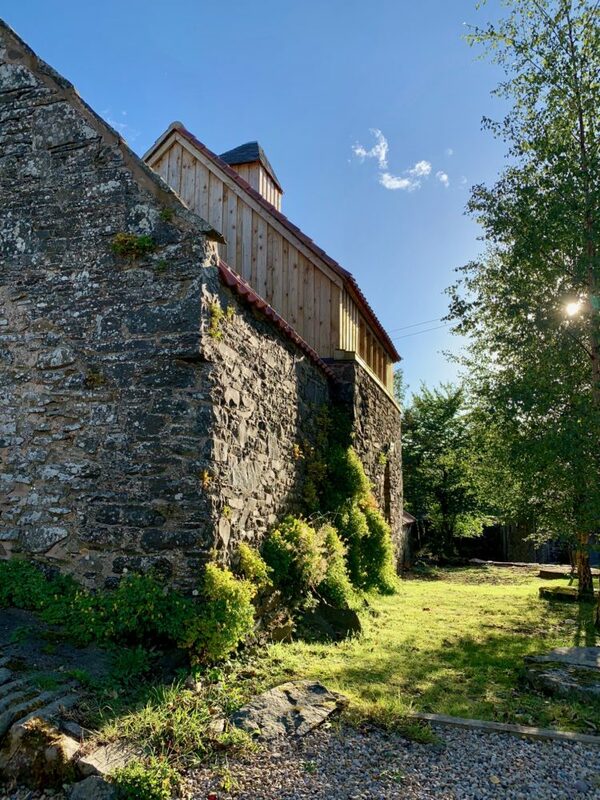 The plan is to take a once-ruined, B-listed grain kiln and turn it into a beautiful communal space for our guests, particular those here on various wellness and creative retreats. 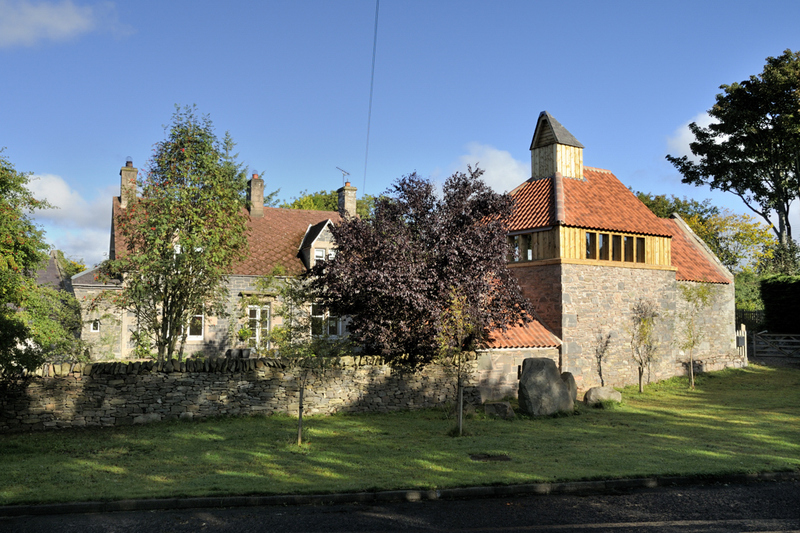 It will be somewhere to get together, relax, maybe watch a film, do meditation or yoga, make music, run workshops and be creative. 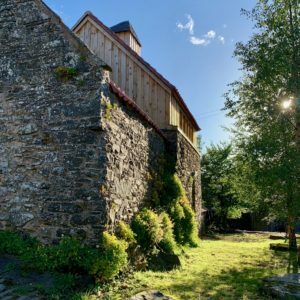 We are very lucky that Dod Mill’s previous owners reinstated the building from its collapsed state into the stone and timber beauty you see today. 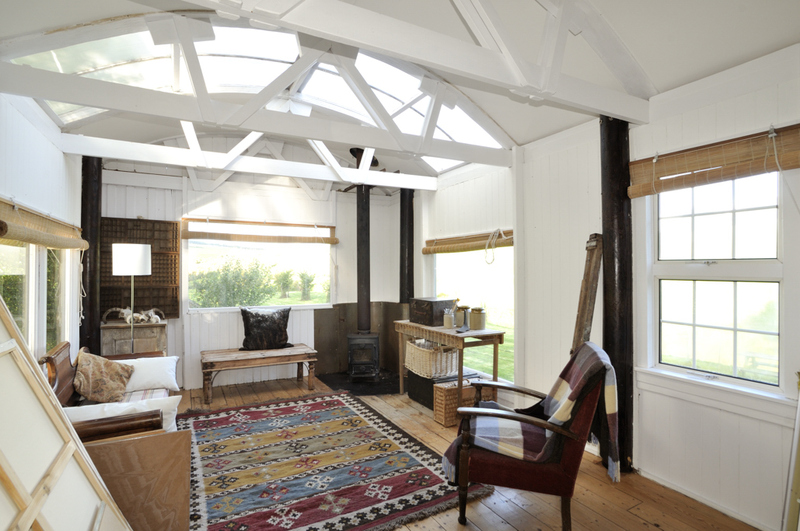 We’re taking things further by converting the Kiln House from an outbuilding into a heated, insulated, cool studio space. 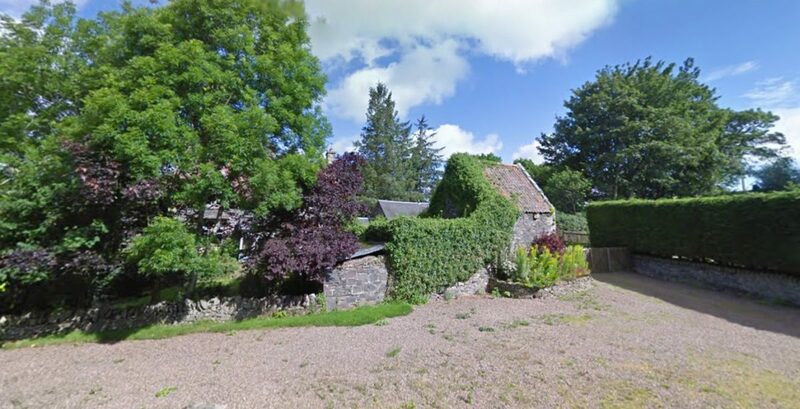 This is the building that most intrigued us when we first came across Dod Mill. 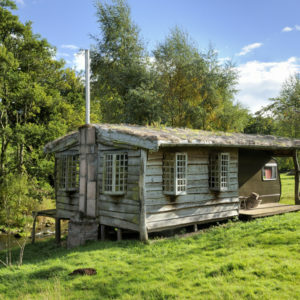 It’s somewhere between a treehouse and a shepherd’s hut in style and function – absolutely perfect for a glamping site. Best of all, it’s completely one-of-a-kind. 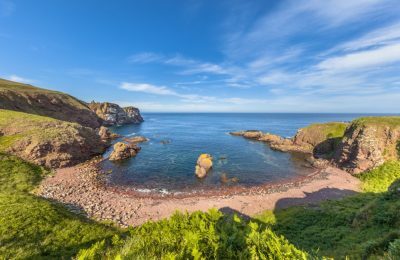 We’ve never seen anything like it before in Scotland or, indeed, anywhere in the world. 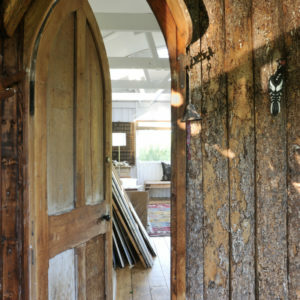 Built in the late 1990s or early 2000s by an artist woodworker called Phil Crennell, the Stilt House was one of several accommodation options for guests at Dod Mill’s then meditation retreat centre. 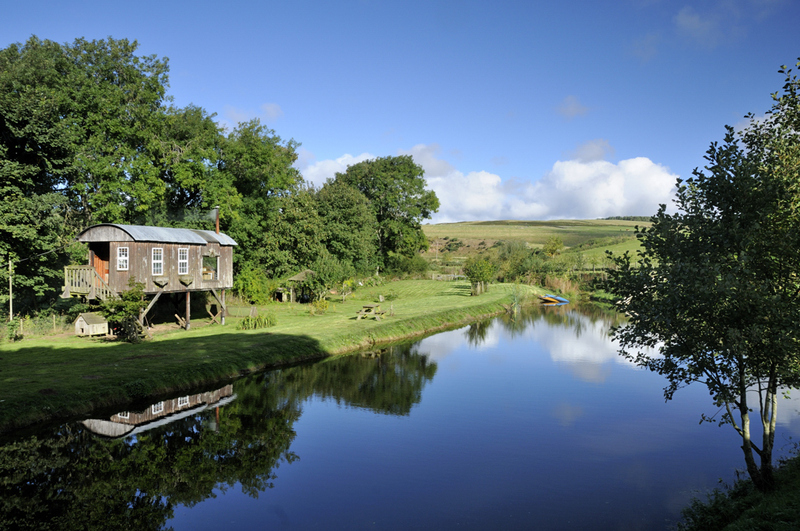 With big windows looking out over the mill pond and up to the hills, it would have been a wonderful place to stay for a few nights. 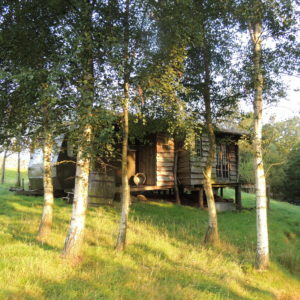 It’s now in need of some TLC to get renovate it and bring it up to the standards that glamping guests will expect. Imagine that a vintage caravan crashed into an American wilderness cabin, and you pretty much have the Fishing Hut! 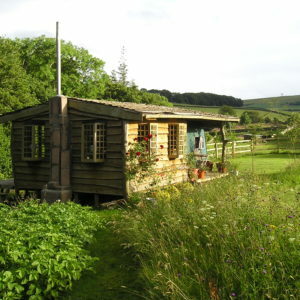 This cute and quirky building will become our second glamping hut. 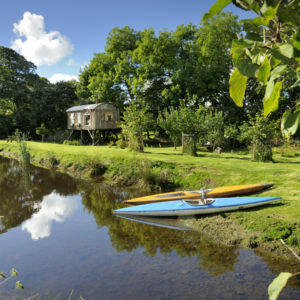 The Fishing Hut’s location on the banks of the gentle Boondreigh River will provide hours of wildlife watching and paddling fun during the day. Plus there is nothing better than the sound of a babbling brook to lull you to sleep at night. 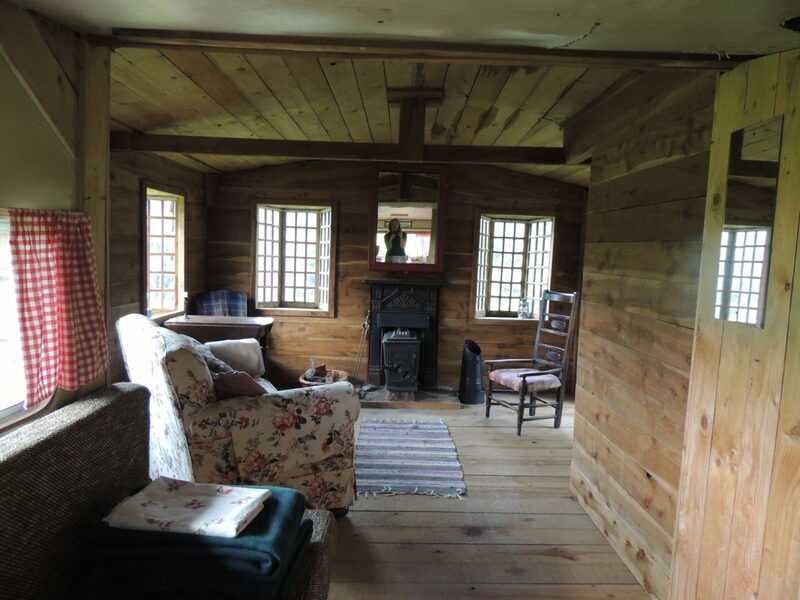 The Fishing Hut was also built by an artist. 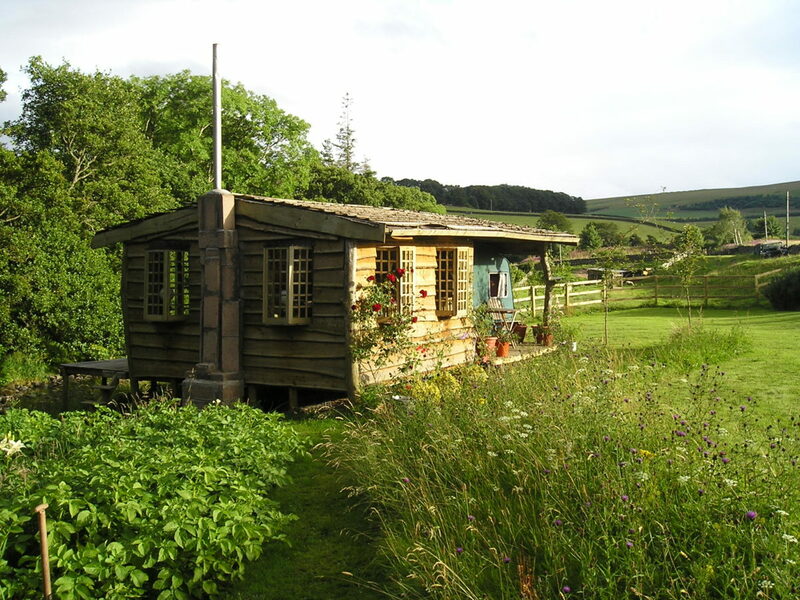 He had already moved into his own Straw Bale House – a permanent, off-grid dwelling nearby. The Fishing Hut is incredibly imaginative, whimsical and also very practical. 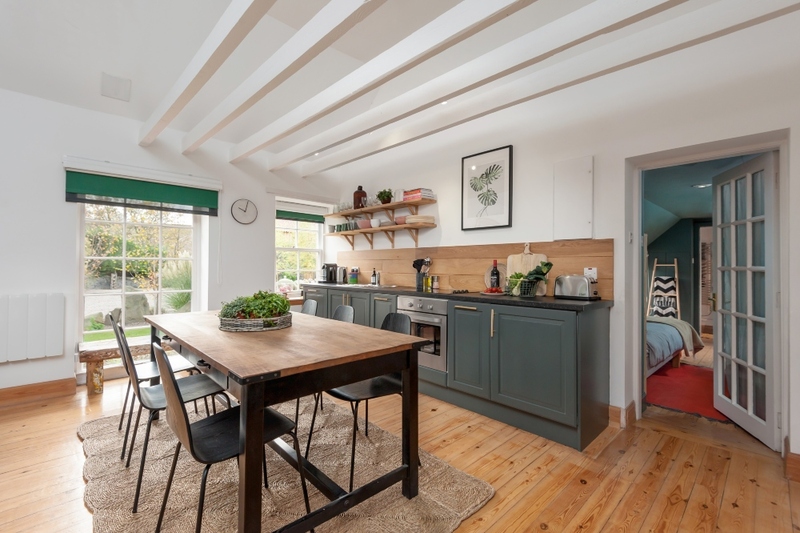 When we’ve finished the renovations, the structure will still be off-grid though we’re adding a swanky woodburning stove for heat (and for cooking) and we might even treat you to some solar power for a little bit of light. 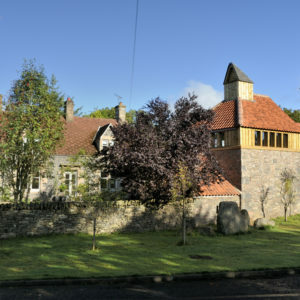 Our Phase 2 will also see a second part to our development of The Bothy. 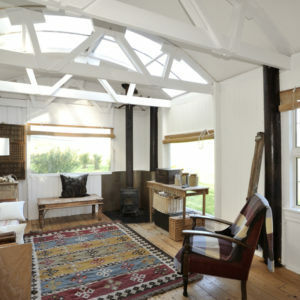 The Bothy is already a lovely space to “live” in for a few days or a week. 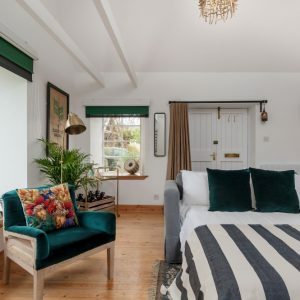 However, as our past guests know, it is rather short of bedroom space. 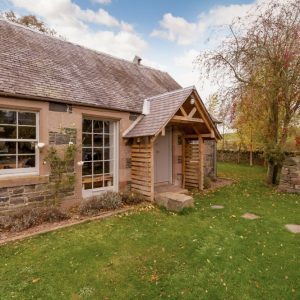 At the moment, The Bothy sleeps 2 in single beds in a little bedroom, plus up to 2 more on the sofa bed in the main living space. The LEADER funding is enabling us to add a stunning mezzanine bedroom which will bring the capacity up to 4-6. We couldn’t have started Phase 2 without the promise of funding through a LEADER grant. 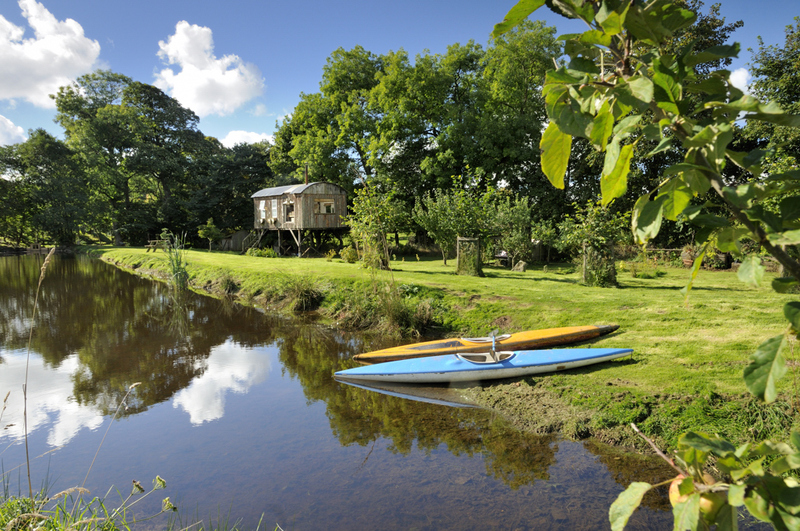 There is no doubt that glamping, retreats and group accommodation at Dod Mill wouldn’t be possible without it. The next year will be very, very hard work getting all of these elements in place, but we can’t wait to see it all come together. Please check back for further updates on our progress – we’ll try to post lots of photos!